Common mistakes parents make that cause issues with their kids. Check this post to see if you are doing something that is causing sleep or behavior issues. 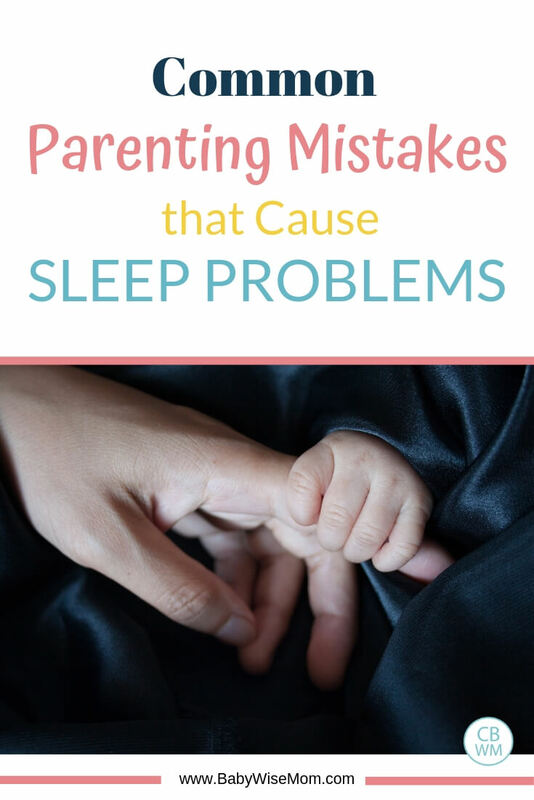 When you are troublehshooting sleep, do you ever stop to think, “Is there something I need to change about the way I am parenting in order to fix this?” If not, you should. I have discussed this concept in Parenting Skills: Look to Yourself First. Tracy Hogg, the Baby Whisperer, says, “When problems persist, it’s usually because of something the parents have done, or because of their attitude” (The Baby Whisperer Solves All Your Problems, page 8). Some parents don’t want to hear that and instead want to say the baby is stubborn, manipulative, hates to sleep, etc. When you are having persistent problems, first look at yourself and see what you are doing to contribute to the problem. Not IF, but WHAT. Here are some common problems Hogg lists, along with my own commentary (pages 8-12). Remember, you are the parent, you decide. You can’t wait for baby to set the routine. That is your job. You need to do so based on your baby’s needs, but it is your job to do. This is akin to parenting outside of the funnel as discussed in Babywise (Read all about how to Keep Siblings Inside the Funnel here). Hogg reminds us to start as we mean to go on (Baby Whisperer: Start as You Mean to Go On ). You need to be careful of taking the easy road now. It makes things harder in the future. If you are doing something you don’t want to be doing down the road, reevaluate. Hogg points out that you need to pay attention to your baby and his needs, not live by the clock. She says that when parents say something like, “He used to be on a schedule, and now he’s not” it means the parent is not reading cues. Used to be. That is your key phrase that points to this problem. 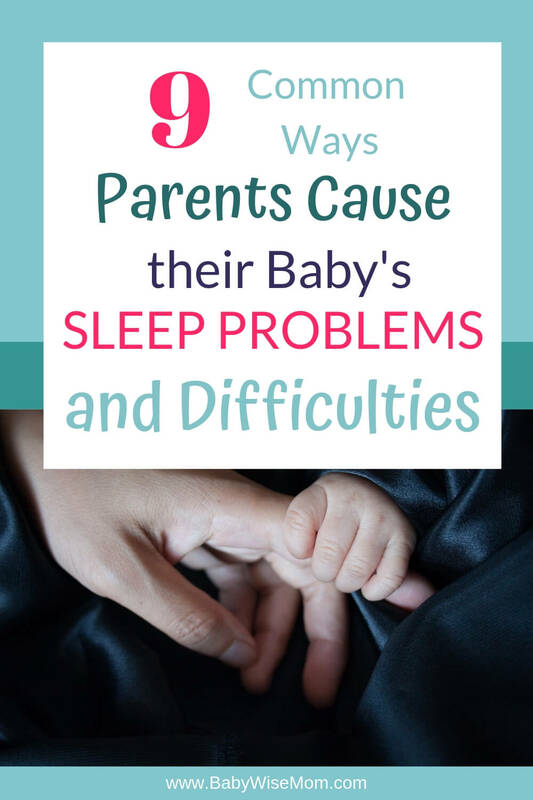 Problems can arise when you don’t realize baby needs a longer waketime, needs to drop a nap, needs more food, needs different activities, needs more/less freedoms than you are allowing, etc. This is also in the used to be category. “The truth is that the only constant in the job of parenting is change” (page 10). As you design your schedule, design it for now, not tomorrow. Tomorrow your baby will have different needs. I often read comments that marvel at how often things change. Just when you have things down, something changes. Teething, sickness, different optimal waketime length, solids, nap dropping, dropping feedings, etc. Once you realize and accept that things will change often, you will be more relaxed and more open to changing as needed, which will save you much heartache. Also, take heart. Changes become less frequent as your child gets older. You can get on a routine that is more constant. It takes time to change habits and behavior. You have to want it, and you have to be consistent. Hogg says you must be as consistent with the new way as you were with the old. If you won’t see things through to the end, don’t do it. This is similar to the one above. First, if you don’t feel comfortable with something, don’t do it. If you think you need to, find a way to get yourself on board. If you know you won’t stick to cry it out for sleep training, do not start it. If things are going well, don’t try to force changes just to fit a book. Things in books are averages, suggestions, etc. but not tailored to your specific child. 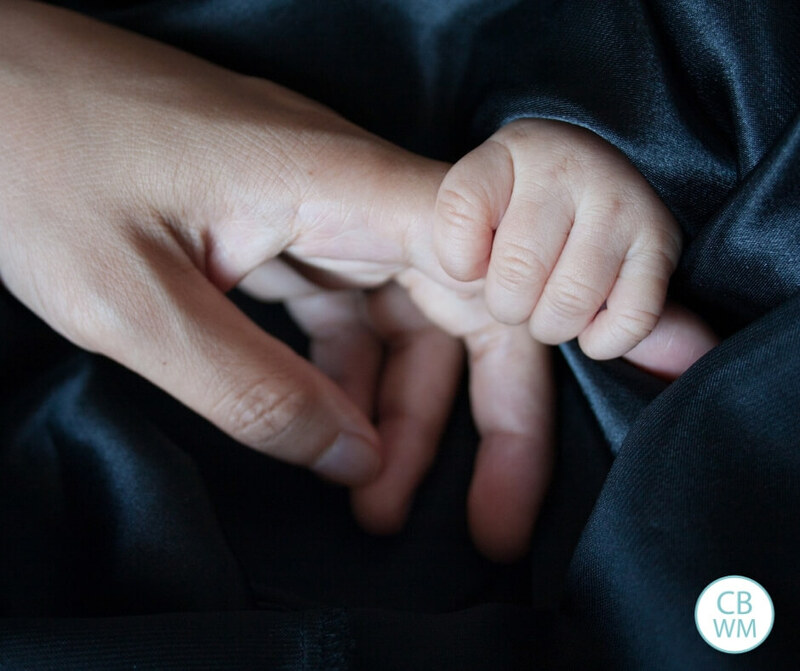 You must change your life as you welcome a baby to your life. You can’t have life as it was. Parenting does require sacrifice. That doesn’t mean you give up who you are and everything you love, but it does mean you can’t be so selfish anymore. Children are humans, not machines nor mathematical problems to be solved. I think of things like growth spurts. Many parents see a growth spurt as a problem and are hesitant to feed baby for fear of starting a new eating schedule. Always feed your baby. You can’t expect baby to not have growth spurts. They will happen, and you need to feed baby when they do. I must say that I really enjoy Hogg’s candid way of expressing things. Remember that as you are problem-solving, you must be humble and look to yourself and see what you are doing to contribute to the current problem. I really needed to read this. I want to ask yo if you have time sometime if you could give Typical examples of acidental parenting. Hi C-lee,I know Val is busy and might take a while to answer you, so I thought I’d put in my 2 cents. I’ve read both Babywise and Babywhisperer and these are some examples from the books and some I’ve caught myself doing: Rocking or bouncing your baby to sleepNursing or bottle feeding your baby to sleepAllowing your baby to play with things that aren’t toys like the remote control or your cell phoneLetting baby tear up magazinesGiving baby too much freedom by letting him roam the house and play with whatever he wantsThese are just a few examples. I’m sure Valerie could name a bunch more, but hopefully this will give you some idea.